What is the logic behind taking a poison into your body? 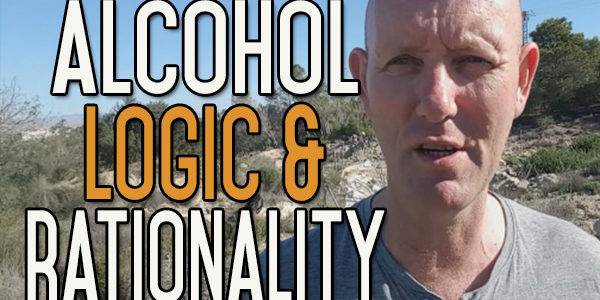 What Is the rationality of our alcohol drinking behaviour? It’s traditional. Drinking alcohol makes us feel good. We drink because everyone else drinks-or so it seems. Because there are health benefits, it’s sociable, or we are celebrating. In this video, I take a look at each of these areas of logic and rationale! Today I just wanted to talk about some of the logical or rationalises we use for drinking alcohol – aka – excuses. Most of the Countries in the Western World, including Ireland, England and USA have got some form of tradition involving drinking. They may have a national drink or a national way of drinking. It might be traditional in a certain culture to drink and there are probably a lot of other traditions involving alcohol. There is a great tradition in England where they have so many Ale Houses and Ale is a British tradition. There is the German tradition of drinking Beer. The French, Italian, Spanish tradition of drinking wine. Whatever the traditional is; Whose tradition is it. Who’s making money from this. Who is benefiting from this most? It’s the people that are selling this stuff. It’s their job to make it seem as though it is a tradition. It’s one of the oldest tricks in the book of advertising to make you think that the Company or the process, product or way of doing things has been around for a long time and we jump onto that band wagon because we’re used to it. In all fairness we also have a culture, our own tradition and own personal culture. We’ve grown up into an environment where people drink. You might not have seen it in your own home but you’ve definitely would have seen it in the wider world around you. If you’ve gone to College; it’s a big part of College. If you go to work; it’s a bit part of work. If you celebrate; it’s a massive part of celebrations. No matter what area of life you look into, alcohol is there, rearing its ugly head or the promotion of alcohol is there. The promoters of alcohol are there. 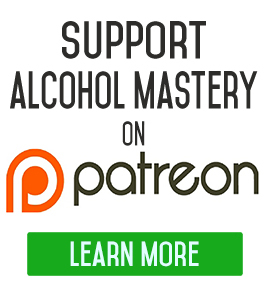 As I say alcohol is just a liquid in a jar, it’s a chemical compound – nothing more than that. It’s the people that put this together who are the ones that say, “Well this is the way it is, this is the way we do things, this is the way things should be done” and we use it quite readily as an excuse. Excuse number two is we drink because everyone else does it. It is the same thing as tradition, it’s an excuse. If everyone else jumped off a cliff would you do it? If everyone else stuck their hand in a fire, would you do it? People are stopping smoking in droves now because everybody else is giving up. The problem is you need to stand on your own two feet if you want to get something out of your life, you need to start thinking for yourself and think, “Well this is not good for me personally” “If everyone else in the World does it and they ruin their own lives, does that mean I have to do the same thing?” It’s just another excuse. Excuse number three is that people say they drink because it makes them feel good. At the end of the day if you’ve been drinking for thirty years then feeling good with alcohol is probably the only feeling good that you understand. That’s what I found about myself. I didn’t understand any other type of feeling good. Feeling good for me going out and getting drunk, drinking. Being with my drinking buddies, being in a Pub, sat in front of the television with a few cans of beer. The feel good factor in that was diminished as the years went by, but at the end of the day it was what I knew, it was all I knew and the more aspects of my life were taken over by alcohol, the more it become the sole way for me to feel good. 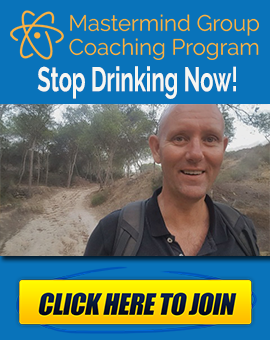 Once you stop drinking, I guarantee, if you put the effort in – and it all requires effort – nothing comes free of charge and if you don’t want to put the effort in, I think it’s only going to be a matter of time before you go back to the alcohol as being the solution for feeling good because you’d be miserable without it. 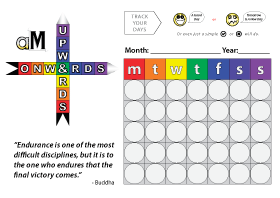 But if you put the effort into thinking about things that you want to do, things that you can do and different areas where you can push yourself forward slowly by putting those thoughts into action, then you will find so many other different things in your life, in so many different aspects of your life, as well that will make you feel good. It’s unbelievable how much your life can improve if you put the necessary effort and thought into it. You have to put the effort into the thought and you have to put the effort into the action, before anything else can happen but once you do that, you’ll have a great life. You don’t need alcohol. It’s the biggest con job of all time, in my life anyway. The biggest con that I was ever opened up to was the alcohol con. There is also the Cigarette con but that’s gone now. You and I both know that when you get up in the morning and have a hangover, that there is nothing healthy about it. Even when you are drinking, when you’re brain and body are reacting to alcohol, you don’t have a healthy reaction. It’s an unhealthy reaction. You’re slurring your speech, you’re staggering all over the place, you can’t think straight. All of those things are happening to your body. If you had those symptoms without the alcohol you would think that there was something seriously wrong with you. So, from the perspective of the feeling you get from drinking the alcohol or the consequence of after you’ve drank the alcohol there is no health benefit to you or anyone else from drinking alcohol. We like to think there is a health benefit and maybe drinking one glass of wine a week will open up your veins more or dilute your blood a bit more and so allows your blood to go through your veins a bit more, but for me that’s because we’ve got other problems in our lives. We’ve got an unhealthy diet in our lives which is making our body unhealthy in the first place so thinning your blood out by taking an occasional glass of wine might be a solution to that, but there are far more healthier ways of doing this, for example, eating a healthy diet and stopping abusing your body in the first place will mean you won’t have to do that. To me there are certainly no health benefits to drinking alcohol. I’ve said this time and time again. Three and a half million people die from drinking alcohol, every year. Over two hundred different conditions are caused from drinking alcohol. Another couple of excuses for why we drink are because we are socialising or celebrating. These are all false constructs that are built by our society, our culture and the powers that be that try to get us to drink this stuff. At the end of the day it’s not only the alcohol companies that make a profit out of this. Think of how much tax is put onto your bottle of wine, your can of Lager or your bottle of Whisky. It’s an easy thing for the government to say that they are putting the tax on the alcohol in an effort to stop people drinking too much but ironically when people do drink too much, when they over drink what they are supposed to drink, then the Government benefits from that. It would be different if the Government said “All of the money that is allocated to alcohol advertising or alcohol consumption. All of the money that we are making out of people that are drinking is going to go back into the industry to prevent more people from drinking” but you don’t see that. The only big wide spread advertising campaigns that you will ever see about alcohol are about drink driving. I am sorry for anyone that’s killed on the road. I’ve driven after I’ve drank alcohol in the past, I have driven when I was drunk and I am ashamed of doing that. I shouldn’t have done that. I shouldn’t have put my own life at risk and I shouldn’t have put anyone else’s life at risk but the amount of people that are killed on the roads through drunk drivers is minuscule in comparison to the amount of people that are killed in general through drinking alcohol. If the government came out tomorrow and said that they are putting all the money they’ve ever made out of alcohol into preventing more people from drinking, into educating young people not to drink alcohol, then I’d believe them, but I don’t believe anything the government say nowadays, so why would that be any different? So, celebrating is another thing that you can cover until you are blue in the face. Almost every celebration from a Wedding to a Baptism or Bar Mitzvah, whatever it is, is all surrounded by alcohol. There’s alcohol everywhere. Whether you are celebrating that you’ve just passed your final exams, or celebrating that you’ve retired, the birth of a new baby, it’s all about alcohol, alcohol is used as a celebratory thing. This is just the tip of the Iceberg as far as excuses and rationalisations and why we drink. Apart from anything else it is a poison, a toxin that you are putting into your body. If you watching these videos, then you are looking for information about alcohol. 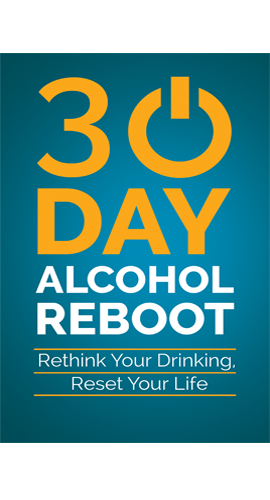 I don’t know if you are looking for information to tell you it’s okay to drink alcohol, or if you are looking for information to tell you it is okay to drink smaller amounts of alcohol but for me – alcohol is a toxin and it’s get no place within your body and certainly not in the level that we are putting in ourselves. If you have any questions, comments or any solutions for this problem yourself, if you have any ideas for any future videos that you’d like to see, any topics that you would like to see covered, then give me a shout. Take care of yourself, keep the alcohol out of your mouth and Good Luck to you! Yes, there are a list of reasons people can come up with for drinking. In reality though, people really only drink alcohol on a regular basis for one reason: they like the feeling of being inebriated to some level. Alcohol does relieve stress and anxiety very well (while you are drinking). No doubt about that. But then so does physical exercise, and there are only positive health benefits from exercising. People choose to drink because it is an easy, cheap, socially acceptable and readily available escape route. The problem is, there are long-term health and social concerns related to drinking and eventually they will catch up with every regular user of alcohol. This is my favorite so far! Excellent examples of the reality of it all. Takes the “Glamour” & all that other crap we are told about alcohol right out of it. I love your site better than any AA meeting I’ve been “forced” to go to to get my license back. I too am ashamed of drinking and driving myself. I didn’t hurt myself or anyone else ( mentally emotionally I did though) Thank God I only put a dent in my car and broke the side mirror, but that’s all and that was some years back. It can always be much much worse!! I dislike AA. Has nothing to do with God because I totally believe in him and he saved me from much worse! Anyway,I always sensed something wasn’t quite right about AA for me. I found an article that put what I couldn’t put into words exactly the way I felt. Each time I said “my name is Rochelle and I’m alcoholic”- like everybody else said in the group, of course, before they spoke – it put a bad taste in my mouth , didn’t feel right coming out of my mouth and not because I wanted to deny I had problems when getting drunk. There was more to it. It’s a label that’s like a life sentence or something and it wasn’t helpful. I could go on and on. Thank you so much for all your effort. I should be paying you something. You’re not asking much to just to keep this rolling. I plan to send something in April when I get the deposit into my account that I get from my work. Now that I’ve said it, I will feel obligated and stick to it. I can’t give too much since the economy went to crap 10 years ago although it’s better now but still. Thank you again so much! Kevin….You do a good job in helping the heavy drinker (Alcoholic) to help stop drinking!! Problem drinkers are people whose lives have become unmanageable because of their “heavy alcohol” intake!! They have past the point-of-no-return, of being a social drinker – for many varied reasons!! You must still recognize the fact that there are still millions of “social drinkers” in this world as well!! I know plenty of people who may only have 1/2 drinks on a social occasion, perhaps weekly or monthly or annually!! My mother had a couple of “sherries” at Xmas time every year and she lived to be 95 yrs old!! That is hardly being a “problem drinker”! You cannot group EVERYBODY into the same category!! Have you read the Big Book from AA? There are many answers in that book about what a true alcoholic really is!! He cannot live WITHOUT alcohol + Alcoholism is a recognized “disease” by the American Medical Profession! What do you know – that they don’t? They are MEDICAL DOCTORS!! 99% of social drinkers can stop drinking – if necessary! I think you have to make that distinction – to retain your credibility!! People who drink 1 or 2 glasses of wine weekly / monthly are certainly NOT problem drinkers!! Thanks Bruce. Check out Podcast 13 where I talk about this.